Life has moved online. Fewer of us spend time shopping in bricks and mortar stores. I certainly prefer the convenience of online shopping. More of us get our TV from web giants feeding our connected TVs. The trends can only grow as younger generations weaned on digital content move into adulthood - when was the last time you saw a teenager without a smartphone in their hand? We are an online society and staying connected is vital to modern life, wherever we go. Network quality matters. A Nokia survey found that 68 percent of customers dissatisfied with network quality are likely to churn. The speed and consistency of internet connection matters more to customers than either voice quality or network coverage. Yet, we are still not getting connectivity right all the time. There are still annoying slow patches and white spots even in the biggest, densest cities. In fact, this is part of the problem, as cities have multiple propagation challenges - thick walls, underground areas, sharp bends and metal structures all attenuate radio signals and cause subscriber frustration. What is the answer? 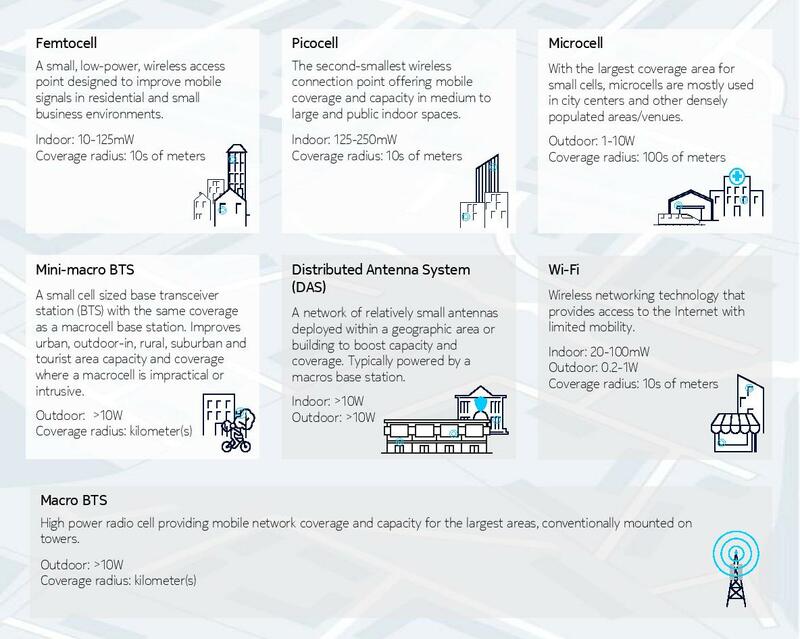 We need to innovate the mobile network and how we think about coverage and capacity – densify networks outdoors and provide more indoor coverage and capacity where people need it. Densification will be a key trend as we head towards and into 5G. Cloud technologies applied to small cells can help CSPs extend coverage, while maximizing capacity at individual sites. So far, making networks denser by adding more small cells has only really been necessary in places like transport hubs and conference centers, where lots of people congregate and use lots of data. There is a growing realization across our industry of the need to build a more layered network. One that can meet the data and traffic needs of large numbers of people. For communications service providers (CSPs), this is a critical step if they are to continue to offer their subscribers what they have come to expect. Small cells are the key. The most sophisticated can offer multi-connectivity, switching from 4G to Wi-Fi in response to traffic conditions and providing just the targeted amount of capacity needed by shoppers in a mall, passengers at a railway station or office workers in a corporate HQ. Deploying small cells, CSPs can meet both short and long-term challenges. In the short term, small cells reduce the overall cost of operations and increase revenues. They are quick to install and cheaper to run than macro cells, as well as offering the possibility to use new urban sites for deployment. In the longer term, the focus for CSPs is on enhancing network quality and creating more loyal customers, holding on to those potentially high numbers of dissatisfied subscribers thinking of moving to a rival. And the industry is getting the message. The small cell market is set to be worth nearly four billion US dollars by 2020. So, the tools that will allow us to collaborate and ensure data follows us as we move around a city on business or for leisure are already available. Our future as a digital society depends on them. We will soon come to see seamless connectivity where and when we want it as the norm - anything less will not be acceptable. And for CSPs, the message is that if you want to lead the game, then connect the city.